Dust everywhere. And you’ve dusted your house just yesterday. For many homeowners across the country, this is a hauntingly familiar scenario. What most people don’t understand though, is that they’re not addressing the root cause of the issue. The dusting they do is only a short-lived solution and the dust will always come back. Unless you target the source of your dust you will struggle with increased level of this and other allergens. The source which, in most cases, are your air ducts. 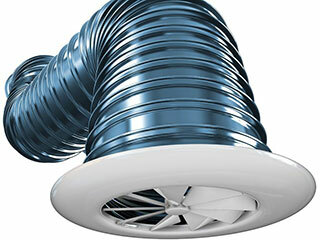 Now, your air ducts don’t need professional attention all that often. It is recommended to have them inspected once every 3-5 years for effective performance of your HVAC system. When left unchecked for too long, air ducts can rapidly turn into breeding ground suitable for growth of various contaminants, including bacteria, mold, dust, debris, and other nasty stuff. Their particles then spread through the air when your furnace is on, before settling in around your home. What’s more, ducts with structural damage (leaks, cracks, etc.) pull in dust from your basement, attic, and crawl spaces, pushing it directly into your home through the vents. Looking further, your air filter could be the reason behind all the grime. Think when was the last time you had your filter changed? If it looks like it has seen better days, try replacing it with a new unit. Aim for models with a MERV rating of five or higher, as these filters can stop the dust more effectively. Get rid of the dust and improve your system’s performance simultaneously. Another area of concern are your dryer vents. If you’ve never had them cleaned chances are they have piled up enough dust and lint to present a fire hazard. We’ve all done laundry hundreds and hundreds of times. How many times have we thought about the dryer vent whilst doing it? The source of your dust could be in an isolated area or in all of the abovementioned places. In any case, our team of air duct cleaning professionals will make sure your air is clean, home dust-free, and air conditioning system adequate.